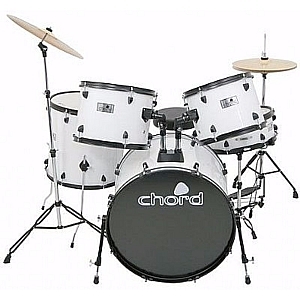 Drums, Acoustic Drum Kits , Acoustic Drum Kits from All Instruments Ltd.
With their superb `everything you need to get started playing now` package, this Chord Drum Kit offers everything a budding drummer could realistically want. 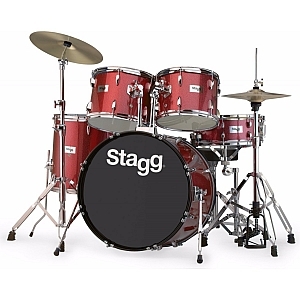 It is a standard 5-piece kit comprising of a 22`` Kick drum, 16`` Floor tom, 2 mounted 13`` and 12`` toms and a 14`` snare drum. A set of 14`` Hi-hats and a 16`` crash cymbal are included with stands, as is a bass drum pedal beater. All shells are gloss vinyl covered with black metal hardware including lugs which are plastic coated cast metal.